As an Illinois native, Cameron attended Northern Illinois University prior to transferring to Arizona State University where he studied Mechanical Engineering. He enjoyed the engineering field until late 2001 when he decided to be more interactive with people and pursue a new career in the Insurance Industry. He knew immediately it was a great decision. Cameron was consistently one of the top agents for both of the well-respected insurance companies that he worked for. After just 3 years, Cameron followed his passion and decided to open up his own Independent Agency in April 2005. He chose the independent side so that he could provide greater coverage options to his clients. He worked long grueling hours building his agency to be a well-respected, knowledgeable source for all insurance needs. By 2007, the agency was 100% referral based and Cameron hired his first employee to help manage his growing client base. Today, the agency has several highly experienced agents and is still working solely from referrals, word of mouth and internet search engines. As his clients’ & prospects’ needs have changed, along with the market conditions, over the years, Cameron has expanded his carrier base and currently represents over 40 insurance carriers in his agency. His goal for the agency is to have the most experienced and knowledgeable team so that they can continue to provide the superior service and protection that has grown the agency to where it is today! Cameron enjoys spending his spare time outdoors with his wife and two children. The Gateway Loop Trail in Scottsdale is one of their most visited but enjoys hiking all of the great trails in Arizona. He is an avid sports fan and is still true to all Chicago teams, other than baseball, which he will always be a proud St Louis Cardinals fan – he thanks his grandfather for that choice. He enjoys traveling whenever time allows and has a hard time passing up a round of golf at the scenic Dinosaur Mountain Golf Course at Gold Canyon, Arizona. Nicole graduated from the University of Phoenix with a Bachelor of Science in Communication. She has been in the sales industry since 2008. 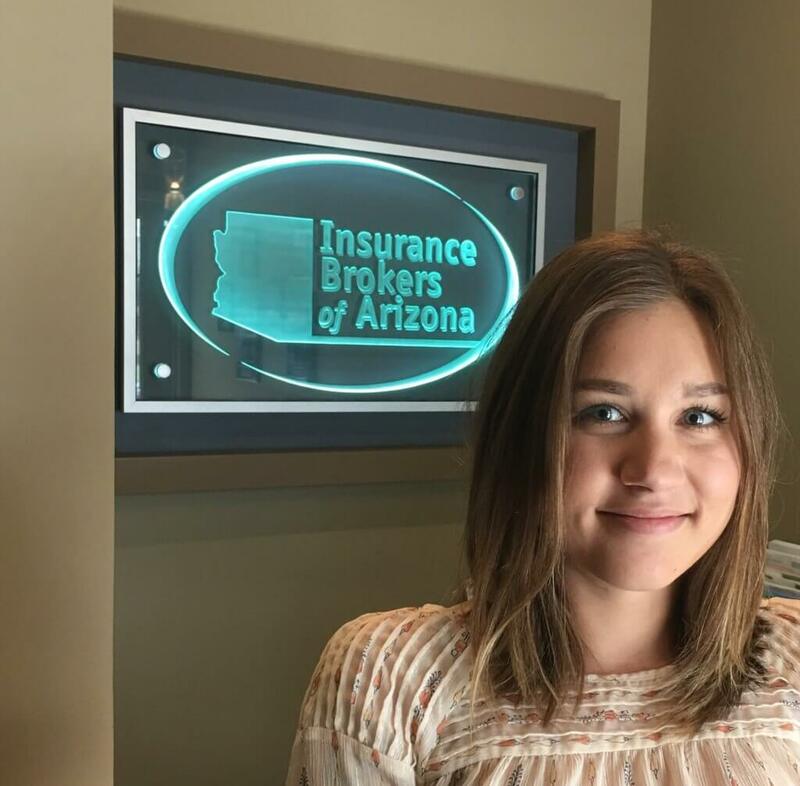 Nicole began her career in insurance in 2011 when she was hired as a team member for a large, well respected insurance agency in Chandler. Nicole obtained her property & casualty license as well as her life & health license right away with this agency. 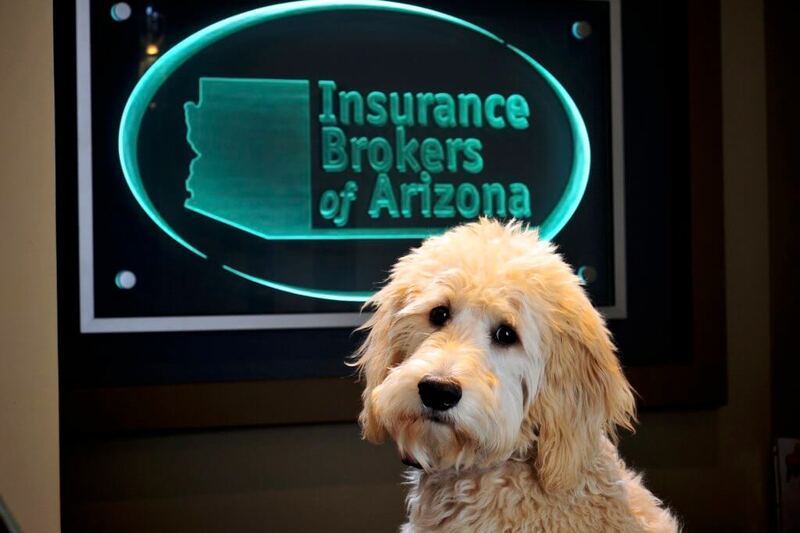 She quickly realized how much she enjoyed the insurance industry. 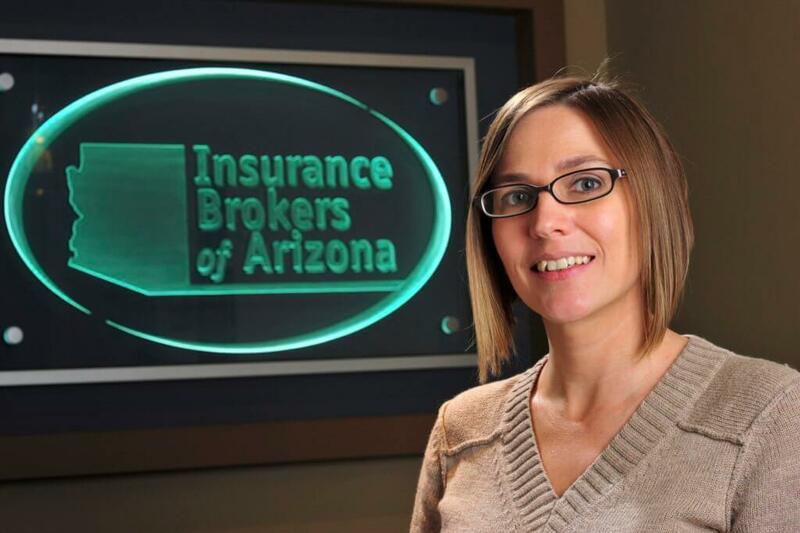 Since coming on board with our agency early 2014, Nicole is enjoying the broker side of the insurance business. 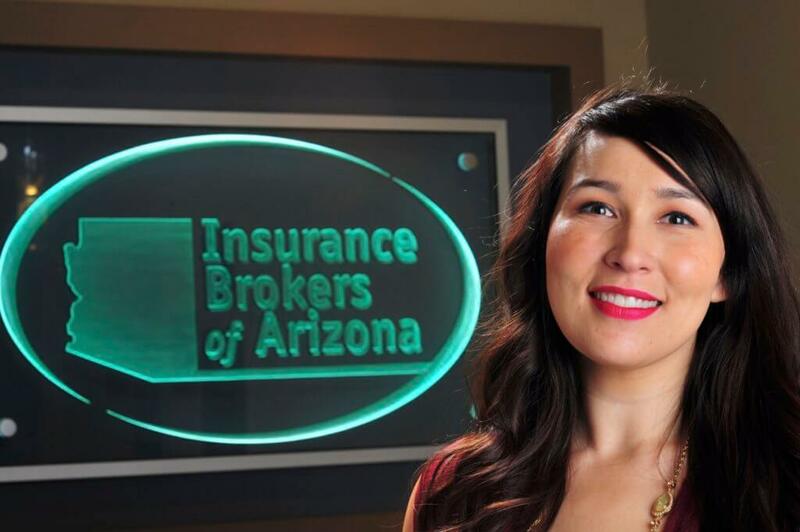 Since joining Insurance Brokers of Arizona in early 2014, she has become an excellent resource for assisting our commercial clients and is a tremendous addition to our team. Nicole is originally from Canada, but was raised in Arizona. In her spare time Nicole enjoys traveling, attending concerts, reading, dancing, golfing, playing with her 2 dogs, and spending time with family and friends. Nicole loves being active and revels in hiking all the beautiful trails Arizona offers. Emmy was born and raised just outside of London, England and moved to Arizona in February 2016. Her journey within insurance began as a personal lines agent in 2008, but when given the opportunity to learn commercial she found she was very passionate about it and has been ever since. She gained over 9 years commercial insurance experience as a licensed account handler in England, and she sought out Insurance Brokers of Arizona in May 2018, after obtaining her US license. She has never stopped enjoying assisting commercial clients and is very happy that her journey and adventures within the industry here in Arizona has officially begun! Emmy joined our team in May 2018 and will be utilizing her knowledge and experience by assisting all of our current commercial clients with any existing policy changes or questions that they may have. We are extremely excited to have Emmy on our team! In her spare time, Emmy enjoys the outdoor life and luckily for her, she no longer has to worry about the rainy days of England! She enjoys spending time with her husband and family by the pool, or out adventuring the desert. Most weekends she can be found galloping the fields of San Tan Valley on her noble American Quarter Horse named Lana. Amy was born and raised in Naperville, Illinois. 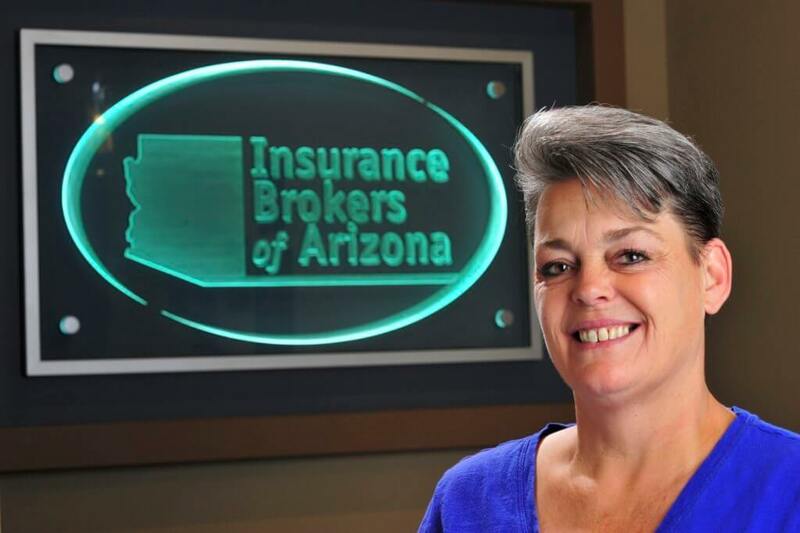 She moved to Arizona in 1982 with her mom, brother and sister and started her insurance career in 1988. During her time with Farmers and State Farm, she quickly discovered that she enjoyed helping people navigate through the confusing waters of insurance. In 1999, Amy took some time off to raise her daughters Bailey and Rylee. They are the apple of her eye and her pride and joy! Amy also obtained her Paraeducator certificate to work with special needs children while raising her daughters. After nine joyous years, Amy decided to return to the insurance world and obtained her licenses in 2009. She returned to State Farm in the role of sales, account service and office manager. Amy joined our team in March 2017 and looks forward to talking to clients and prospective clients to help determine their needs and making sure they have the proper protection so their family does not suffer a catastrophic financial loss. Amy has been married to Dennis since March 5, 1995. They were blessed with daughter Bailey in November 1997 and Rylee in July 2002. They live in Chandler with their dogs Oddy and Abby and Guinea pig Norman! Her hobbies include hanging out with friends, having fun and laughing, relaxing, reading, bargain shopping and spending time in their Munds Park “tiny” house enjoying the summers in cooler weather. Originally from Wyoming, Michael and his father partnered together and purchased a motel and bar which they jointly operated until 2009. Michael moved to Arizona in 2009 to become a certified EMT and a firefighter. 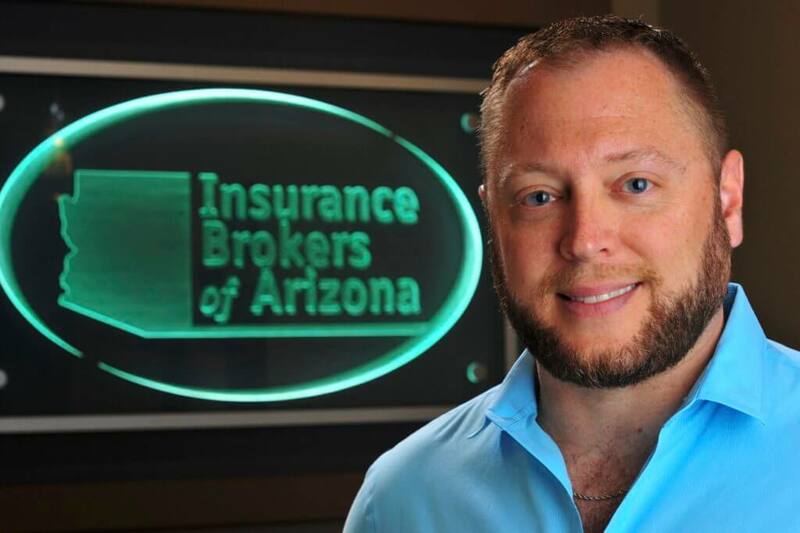 After years of the strenuous work, he decided to make the switch to the insurance world where he worked for local agencies for over three years. He is the father of a teenage daughter and teenage son and his hobbies include country dancing, rodeos, shooting, hunting, fishing, camping, and pretty much anything outdoors. Carl was born and raised in Michigan and moved to Arizona in 2018 ready for a better climate and a change of pace. 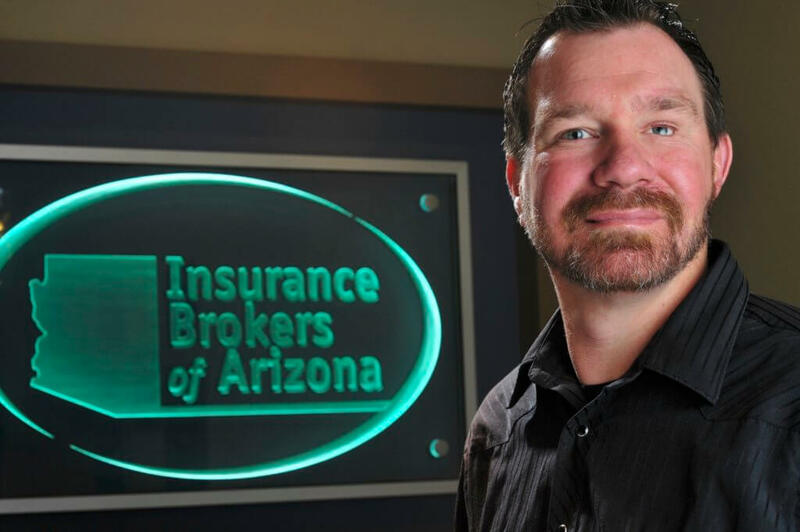 He has been in the insurance industry since 1999 and has been a licensed agent since 2001. His passion for insurance stems from a long family history of insurance professionals including his grandfather and parents. His favorite part is protecting clients from the risks of everyday life. Carl’s hobbies include spending time with his wife, four children and English bulldog named Tyson. He is an avid sports fan and never misses a Michigan football game. Go Wolverines! Renee was born and raised here in Arizona making her a rare breed and one of the few true Arizonans. Renee truly enjoys working with people and has a background in Client Services for over 20 years. She provides our clients with friendly customer service and is always excited to help our clients out in any way that she can. She joined our agency in February of 2015 and aside from assisting our clients, she is in charge of making sure that the office is operating smoothly every day. In her spare time she loves spending time with her husband, 3 children and 2 grandchildren. She also enjoys bowling, reading, and singing. 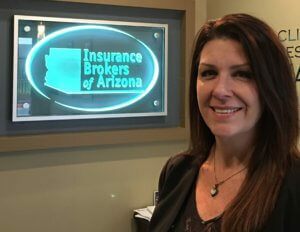 Jennifer Baber serves as our Client Service Manager and joined Insurance Brokers of Arizona in October 2017. She began her career in 1997 at a large financial service firm where she gained tremendous experience in the client service role. She currently handles all customer related inquiries and works with our several carriers as necessary. Jennifer resides in Peoria with her husband and three daughters. In her spare time she enjoys musicals and hiking but most of all, she loves quality time with her family and will gather everyone to play cards. She also enjoys visiting extended family back in Illinois in the Chicago area. Terri was raised in Texas but has been an Arizona resident since 1990. From 1993-2004 she ran her own daycare business along with raising her 2 kids. Terri worked for a large national bank for several years before landing in the insurance world. 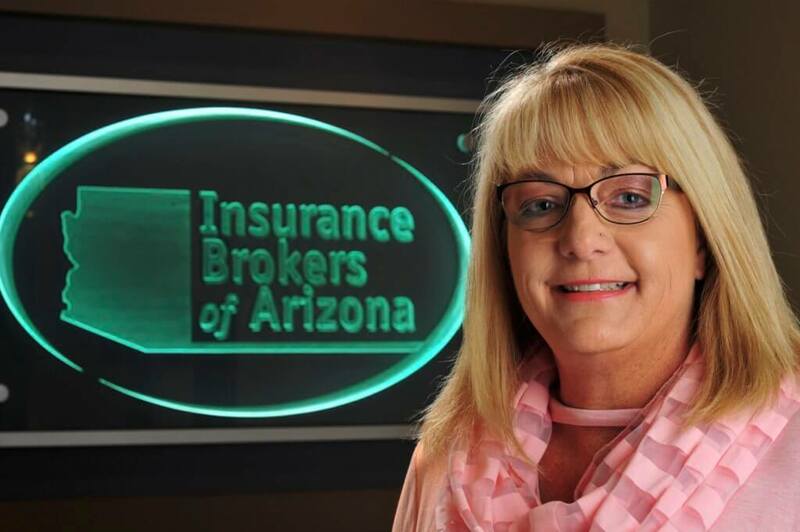 She began her insurance career in 2006 with a reputable insurance company in the East Valley as well as graduating with a Bachelor’s degree in Business Management with an emphasis in Information Technology which she completed in 2009. Terri has a passion for delivering top notch customer service and helping clients understand their insurance needs and coverages. She will be assisting our existing clients with their renewals and claims process. With over 15 years of customer service experience, Terri is excited to expand her knowledge on the broker side of insurance. She is a valuable addition to the IBOAZ team! Terri and her husband have a blended family of 5 children & 7 grandchildren; along with their Boxer named Rosco, whom they rescued 2 years ago. In her free time, she enjoys spending time with her family going camping, boating, wakeboarding, surfing and exploring new places. If she isn’t wakeboarding or surfing, you will catch her soaking up the AZ sunshine and relaxing in the water. Stanley Winter Brown, our Goldendoodle, joined the team in February of 2018 as the Director of Client Smiles and Office Happiness. He is bringing joy to our clients and employees each and every day. Stanley can’t wait each morning to jump into the car and go to ‘work’. His typical day includes greeting clients (see his smiling face below), napping and playing with toys. Stanley resides in Gilbert with his parents, brother and sister. When he is not working hard at the office, you can find him at his favorite dog park or playing with his family at home.